Description: The Silk Road as a trade route came into being in the 3rd century B.C. and lived to see the 16th century of this era. The trade towns situated along the Silk Road saw numerous devastating wars, destructions, fires, famine and plague. Some of them fell into oblivion leaving nameless ruins for their descendants, others not once perished in fire but revived again to amaze the world with their riches, the blue of the cupolas and the tracery terracotta lace-like ornamentation of mausoleums and mosques. For centuries the crowds of people speaking diverse languages filled bazaars, long caravans moved along dusty roads carrying precious gems and silks, spices and dyes, gold and silver, exotic birds and animals to sell them to Europeans. The Great Silk Route is one of the most significant achievements in the history of the world civilization. The widespread network of caravan ways crossed Europe and Asia from China to the Mediterranean coast, and in ancient times served as important means of business relations and cultural exchanges between East and West. Day 1: Almaty. 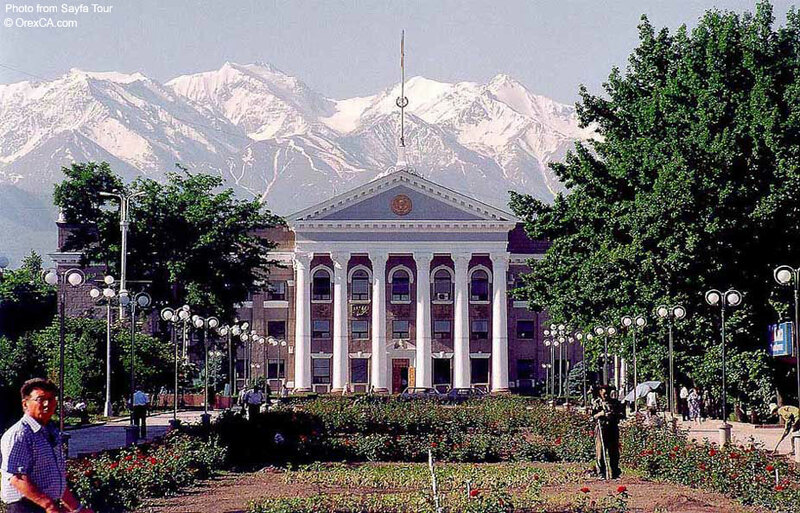 Arrival in Almaty, picking up at the airport and transfer to the "Otrar" Hotel (****), rest. Breakfast. Sightseeing tour city with visiting of Panfilov Park, Central Park, Cathedral ad Museums. Also excursion to Medeo gorge. Lunch and dinner. Day 2: Almaty - Bishkek - Issyk-Kul. Breakfast and transfer to Issyk-Kul Lake (500 km) through the Kazakh-Kyrgyz border "Ak-Zhol", lunch stop in Bishkek and continue to Issyk-Kul via Boom gorge. Accommodation in a hotel at the North coast of Issyk-Kul Lake. Dinner. Day 3: Issyk-Kul - Bishkek. Breakfast and rest, excursion to Cholpon-Ata to petrogliphies and Ethnographical Museum. Back to the Hotel lunch and transfer back to Bishkek (250 km), on the way visiting of Burana tower at the place of the ancient city Balasagyn (11-13th cc). Accommodation in a Hotel in Bishkek. Dinner in the city restaurant. Day 4: Bishkek - Tashkent. Early morning breakfast and departure to Tashkent, by flight or transfer to Tashkent (600 km) via Kazakhstan, on the way lunch and visit local villages. Arrival at the Kazakh-Uzbek border late evening and transference of the group to Advantour partner. Arrival to Tashkent. Transfer to the hotel. 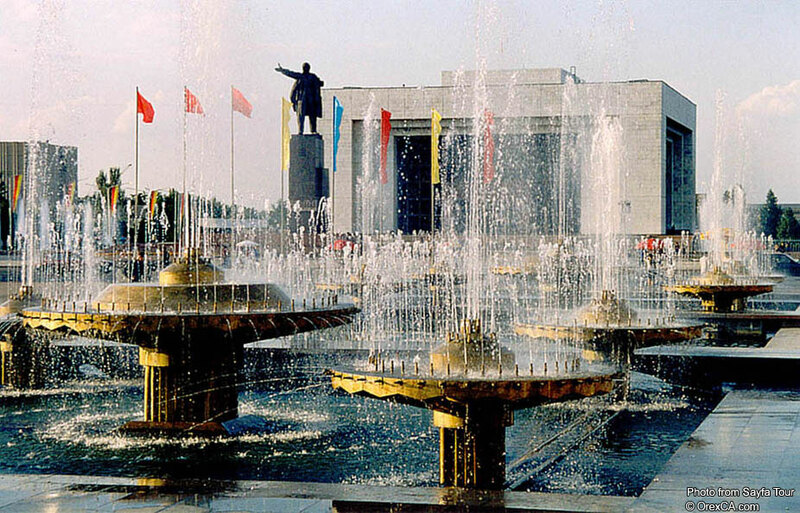 Short sightseeing tour program in Tashkent. Dinner. Overnight at the hotel. Day 5: Tashkent- Bukhara. Sightseeing program in Tashkent. 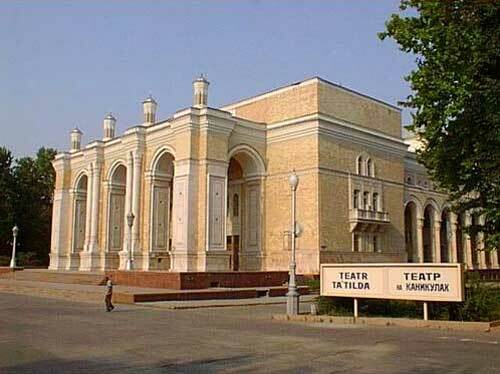 Sightseeing tour will include visits to the Museum of History of Uzbekistan (with Statue of Buddha, 1 cent. AD), Chorsu Bazar in the old city part of Tashkent, Kukuldash Mosque and Khast Imom - official religious center for Muslims in Central Asia, consists of Barak Khan Madrassa (16th cent. ), Tilla Shaykh Mosque - the Osman Koran, believed to be world's oldest Koran is kept in the library of this Mosque, a mausoleum of Abu Bakr Kaffal Shoshi - an Islamic scholar of 13-14th century. At 16:00 transfer to the airport and flight to Bukhara. Arrival to Bukhara, transfer to the hotel. Day 6: Bukhara. Full day sightseeing Bukhara. Sightseeing tour will include visits to the sights Ismail Samonid mausoleum (a burial place of the Samani dynasty founder Ismail Samani, 10th century), Kalon Minaret and Poi Kalon Mosque, Miri Arab Madrassa (16th century), Ulugbek Madrassa (15th century) and Abdilazizkhan Madrassa (17th century), Magoki Attory Mosque (construction, with 12th century fasade and reconstructed in 16th century, with Zoroastrian temple ornaments underneath), Lyabi House complex, Bolo Hauz Mosque (18th century an official place of worship of emir of Bukhara). Overnight at the hotel. Day 7: Bukhara - Samarkand. In the first half of the day continue sightseeing Bukhara: Ark Fortress (a home to the rulers of Bukhara), Museums inside Ark Fortress. After lunch depart Bukhara and drive to Samarkand. Arrival to Samarkand, check in to the hotel. Dinner and overnight at the hotel. Day 8: Samarkand. Full day sightseeing Samarkand which will include: famous Registan Square (with Madrassa Sherdor 17th century, Tilla Kori and Ulugbek 15th century), Shokhi Zinda Nekropole (important pilgrimage place in Samarkand), remains of grandiose Bibi Khanum Mosque, Gur Emir-Mausoleum (where conqueror Amir Temur (Tamerlane), his two sons and two grandsons are buried, 15thcentury), Ulugbek Observatory. Overnight at the hotel. Day 9: Samarkand - Tashkent. In the morning continue sightseeing Samarkand. Visit silk carpets factory. Free time. In the afternoon depart Samarkand and drive to Tashkent. Arrival to Tashkent, transfer to the hotel. Farewell dinner. Day 10: Transfer to the airport, departure. 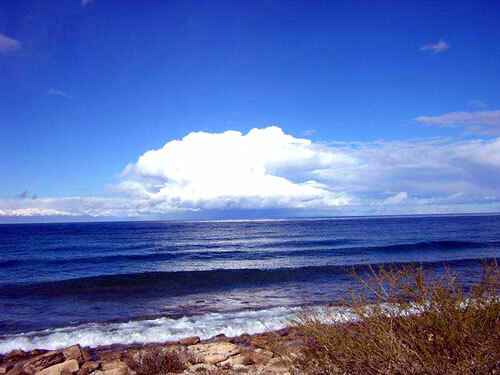 Entrance fees, excursions, demonstrations as mentioned in the itinerary. 1. Tourist must have Kazakh transit visa 2. Tourist must have Uzbek visa 3. 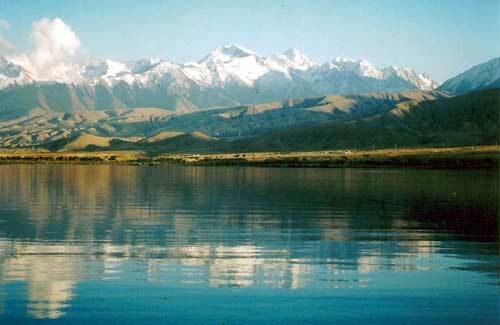 Tourist must have Kyrgyz visa which they can obtain in any Kyrgyz Consular Department with Muza company visa support. But you have to note also that travelers from 28 countries of Europe, USA, Canada and Australia do not visa support at all. We hope you like the program and assure you that we are absolutely open to any suggestions to increase the range of our services for the entire satisfaction of our clients and are happy to meet your special requirements.